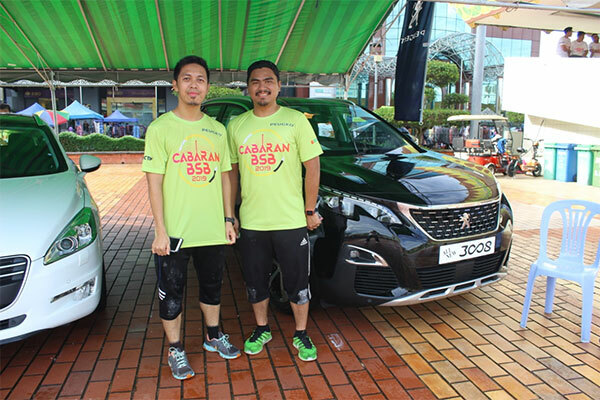 Recently, Peugeot Brunei was involved in the event called Cabaran BSB 2019 Charity Event at Taman SOAS. 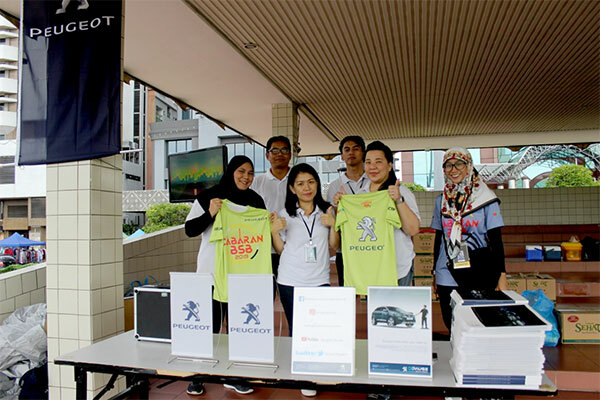 Peugeot Brunei was the main sponsor for the said event and it was supported and sanctioned by the Ministry of Primary Resources and Tourism, the Ministry of Health and the Ministry of Home Affairs. 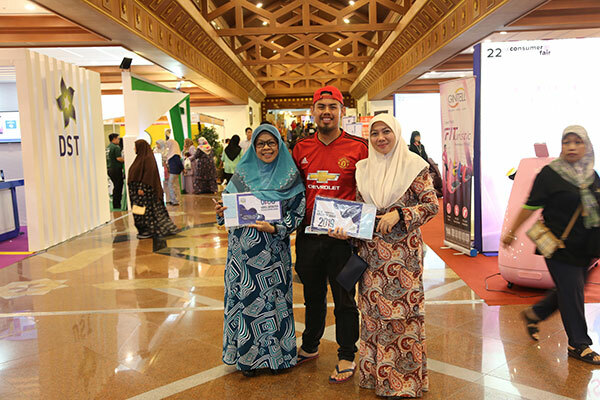 The recipient of the charity event was YASKA (Yayasan Kanser Kanak-Kanak) or the Children’s Cancer Foundation. A few Peugeot models were being showcased during the event. 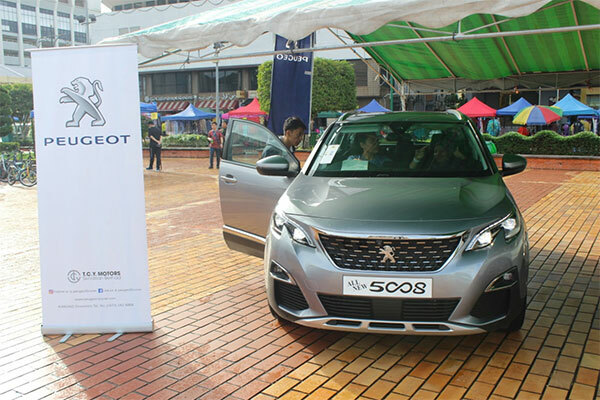 There was also awareness on road safety and Advance Driving Aids featured in Peugeots latest SUV. 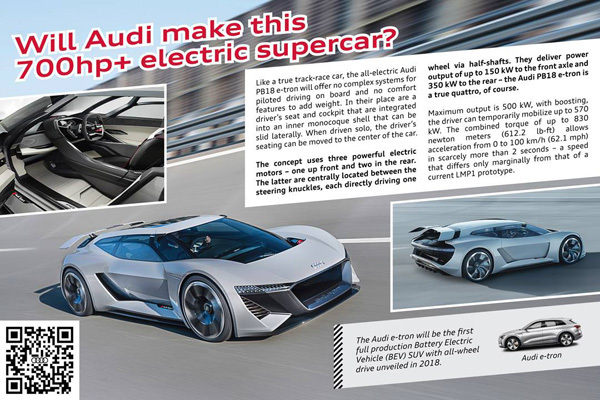 Will Audi make this 700hp+ electric supercar? Like a true track-race car, the all-electric Audi PB18 e-tron will offer no complex systems for piloted driving on board and no comfort features to add weight. In their place are a driver’s seat and cockpit that are integrated into an inner monocoque shell that can be slid laterally. When driven solo, the driver’s seating can be moved to the center of the car. The concept uses three powerful electric motors – one up front and two in the rear. The latter are centrally located between the steering knuckles, each directly driving one wheel via half-shafts. They deliver power output of up to 150 kW to the front axle and 350 kW to the rear – the Audi PB18 e-tron is a true quattro, of course. Maximum output is 500 kW, with boosting, the driver can temporarily mobilize up to 570 kW. The combined torque of up to 830 newton meters (612.2 lb-ft) allows acceleration from 0 to 100 km/h (62.1 mph) in scarcely more than 2 seconds – a speed that differs only marginally from that of a current LMP1 prototype. Minister of Finance and Economy II and MInister at the Prime Minister’s Office, Yang Berhormat Dato Seri Setia Dr Haji Mohd Amin Liew Abdullah (3rd L) and Managing Director of BIBD, Mubashar Khokar ( 2nd L) in a group photo during the BIBD ALAF Scholarship Awards presentation ceremony at The Empire Hotel and Country Club recently. 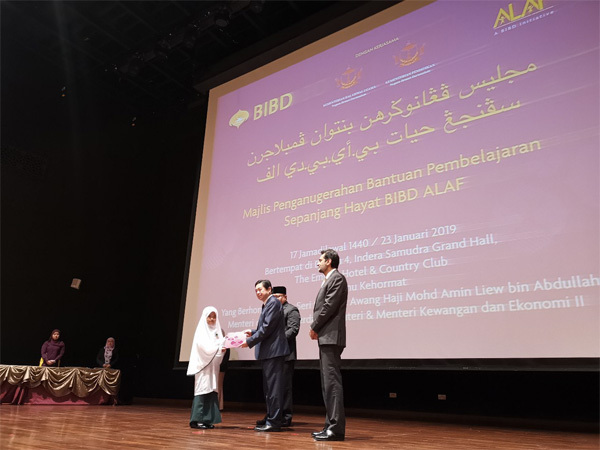 47 students from Ministry of Religious Affairs and Ministry of Education were recently awarded with BIBD ALAF scholarship. 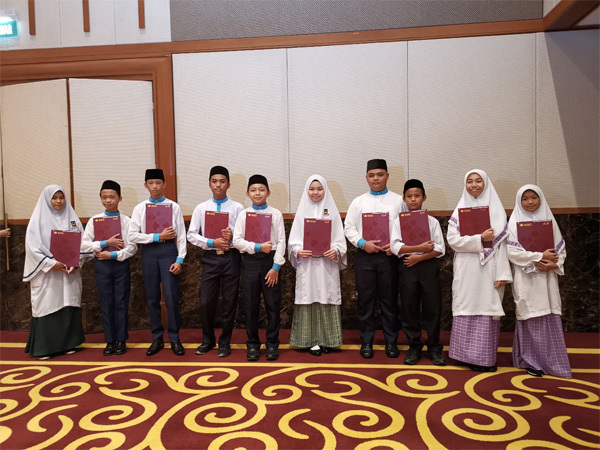 Forty-seven students from the Ministry of Religious Affairs (MoRA) and Ministry of Education (MoE) were recently awarded with Bank Islam Brunei Darussalam’s (BIBD) ALAF (Advocating Life-long Learning for an Aspiring Future) scholarship. 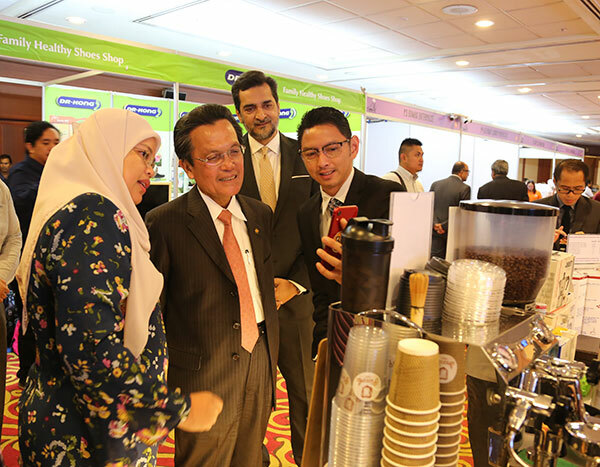 Presenting the awards to them was the Minister at the Prime Minister’s Office and second Minister of Finance and Economy Yang Berhormat Dato Seri Setia Dr Hj Mohd Amin Liew Abdullah, in an event held at the Empire Hotel and Country Club. 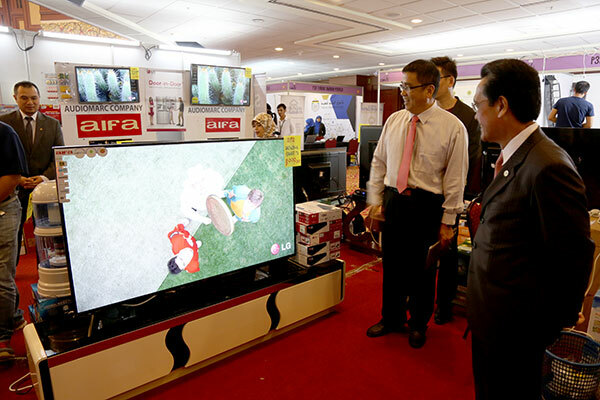 Also present was the Acting Minister of Education Datin Seri Paduka Dr Hjh Romaizah Hj Mohd Salleh. 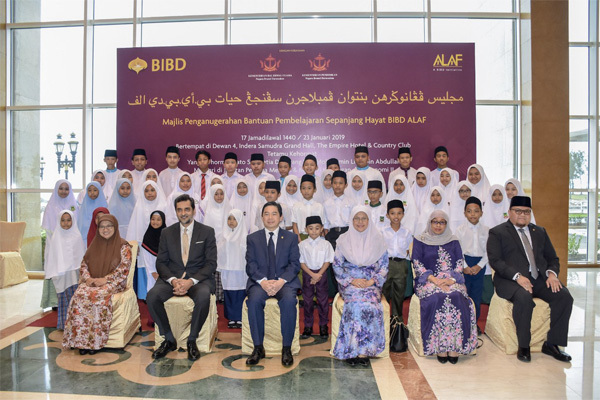 The BIBD ALAF Digital Hub, opened under the BIBD ALAF programme, is aimed at encouraging the students to adapt technology in their learning and development to better prepare them for a more digital age. The ALAF Innovators Workshop 2018 was also launched as part of the BIBD ALAF programme. The workshop introduces students to Micro:Bit, a learning and development platform designed by the BBC for use in computer education that focusses on student knowhow and creativity. 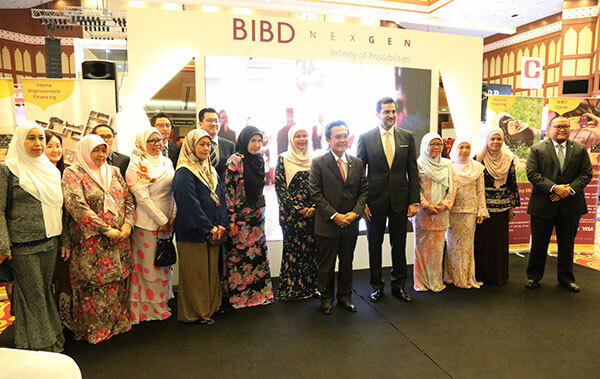 The BIBD ALAF programme was launched back in May 2013 graced by Her Royal Highness Paduka Seri Pengiran Anak Isteri Pengiran Anak Sarah binti Pengiran Haji Salleh Ab Rahaman and programme has currently supported 215 students. Hello, peeps. I hope to be back blogging on a regular basis but that’s my word …. against myself.. It’s never easy to be back “blogging” per se. My social media platforms have been my usual outlet to share my personal stuff but hardly on my blog. You know, sometimes, it’s difficult to actually blog since I’m bogged down with work on my blog. It is still possible to blog as long as I set a time or a schedule. Blogging is definitely therapeutic for me so I will put this on my priority list. My head is full of thoughts and one way to make it lighter is to blog. So this will be my commitment for 2019. So how does it feel after the social media purge? A lot of my friends have been wondering what were the impacts or side effects of detoxing myself. 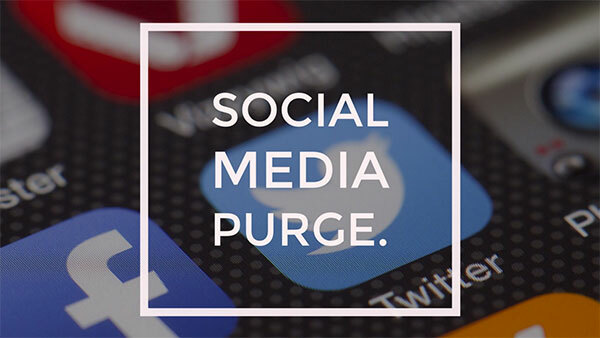 Frankly speaking, I have many thoughts about this, about blogging my “post social media purge.” Because for me, it has been open up a whole new level of mindset in terms of how I post on social media. The 12 day challenge saw a difference in how I handle social media for the current moment but it’s still early days to see if these changes will be consistent. • Spending less time with my addiction – the phone. I can’t say that has entirely changed. I have been spending less time on social media. From the screen time report, it stated that my habit has decreased by 1 hour LOL. That’s not a huge improvement but still good progress nonetheless. This is perhaps the hardest thing to do – to completely cut off social media in a long run. I have pledged to cut at least one hour of social media a day. Current fact: Did you know I spend at an average of 8-9 hours a day on social media? Basically that’s almost like 70% of my waking hours. It’s about time you check on how much you have spend on social media and you will realize how productive you are when you are awake. • Being more present. This means if there’s someone in front of me or during a conversation, I will be less likely to play with my phone, scrolling or replying Whatsapp messages and I will give my full attention to the other party. This issue is quite common among us that we tend to be distracted by our gadgets and not giving enough respect to the person we are conversing with. Now, I become agitated when I become the victim. It’s like – “Yea, Rano, you deserve this for the countless time for not being present in front of the people you are communicating with.” My awareness level is very on medium alert and I am aiming it to be on high alert because I still have the tendency to check my phone quickly for 3-5 seconds LOL. My friends have told me that I spend less time on my phone when I’m around them. • I feel way lighter. I don’t feel being bogged down with information which is always accessible through my finger tips. The more I know, the deeper I dwell into. That alone can be really draining when you have too much information to handle because your thoughts keep spinning in your head with all the questions, answers and opinions. 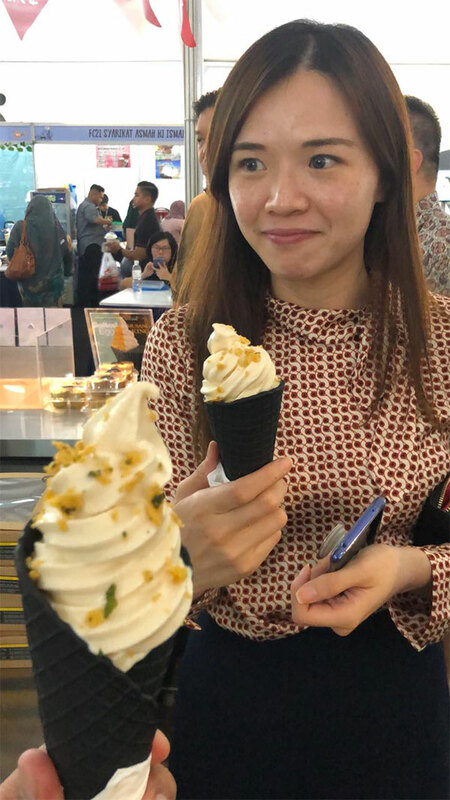 Sometimes my friends will alert me of my name being featured on Reddit (maybe the most sought for news in Brunei nowadays) and I would be curious to know what is mentioned of me on any topic. Now, I don’t have the tendency to check on it even though my friends deliberately forward to me a screenshot from Reddit and that alone has made me feel way, way lighter and it’s a nice feeling to have. • Phone tendency to be in pocket. Usually when I walk, either hand will be holding the phone. During the purge, it was mostly in my pocket because I have been “blacked out” to check on social media. It did feel naked at times because it was an uncommon habit. Again, I felt a similar feeling of freedom because I was being present with my surroundings. So, what happened after the purge was over? I won’t say that the good habit continued as I was still holding my smartphone in my hand from time to time. However, it has been lesser than usual and I just have to be more aware of it. If the purge would have lasted longer, it would turn into a natural habit. • My phone gallery. Even with my smartphone, packing a huge storage of 256 Gigs, I was already reaching my limits. Because I didn’t do any posting during my purge, hence the need for me to take photos or videos was pretty low. In other words, I really saved a lot of space on my phone and it reminded me that it’s better to take photos that matters to me rather than simply taking videos or photos that serve no purpose to me. After the purge, the tendency is still lesser than usual. I am proud of it and it makes me more of an efficient photographer. No more multiple shots of the same pose or a particular scenario in an event. Well, I still do sometimes but I notice the decline in that habit of mine. • Validation. Now here is an interesting take for me. As someone who is very relevant to social media and being the eyes for many, I created this feeling that I must be relevant and important to people. But at the same time, I sought for validation and this also applied to my daily life where I want to be relevant, acknowledged and important to my peers. In other words, I don’t feel good enough just because I don’t have enough views or likes on social media. I don’t have enough comments on social media to keep me motivated. All of these play a part on how I feel about myself. I wanted to be validated. The social media purge has made me realize that how connection with real friends are more important than the likes, comments and what so on social media. These peers are the real deal and I will not be drawn to the validation from social media. • My mood. Oh yes, it has been 16 days after the purge and I have notice that my mood is better. It’s hard to determine just yet because it coincides with the beginning of the year. Relatively, I feel much better about myself and I’m not even trying to begin with. When I wake up in the morning but I won’t check the phone straight away. I even invested an actual clock so that will be my go-to-gadget when I check the time in the morning. Yes, generally I am a happier person and I hope this will also help me to become more productive and efficient. Let’s see if I can maintain this for the next month and hopefully the following months. So that’s it in terms of my post mortem on my social media purge. Now I still have one challenge that I want to conquer and that is a no-phone challenge for at least 1 to 2 days. This will be even a bigger step for me to further test my will and courage that I can survive without the phone. I was just imagining myself back in the teen years where smartphones and even mobile phones haven’t existed yet. And, we all survived back in the 80s without phones, right? I am sure I can survive for one/two days without my phone. I shall be alert my friends and especially my clients when the time is near. Baiduri Bank hosted a prize presentation today for winners of their promotion in collaboration with Mastercard. 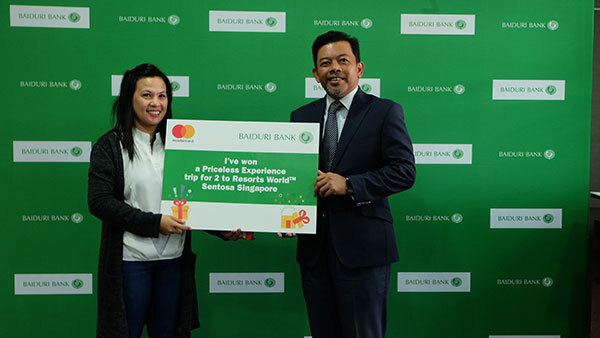 Between 20 October 2018 to 31 December 2018, cardholders stood a chance to win a trip for two to Resorts World Sentosa. To be eligible, cardholders simply needed to use their Baiduri Mastercard Credit Card to make their purchases during the promotion period. 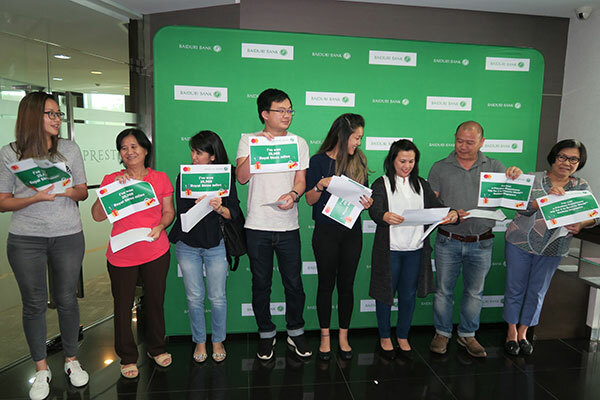 Cardholders who spent a cumulative amount of at least BND1,000, received 1x lucky draw chance. 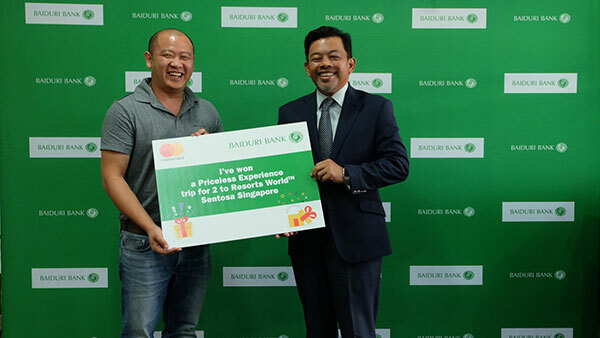 Eight cardholders were shortlisted and after a final draw today, three lucky winners namely, Wong Mei Hua, Gan Sin Siong and Chung Yee Wuen each won an unforgettable trip for two to Resorts World Sentosa in Singapore. The package includes a 2-night stay at the 5-star hotel, a VIP tour of Universal Studios Singapore and a priceless dining experience for two. 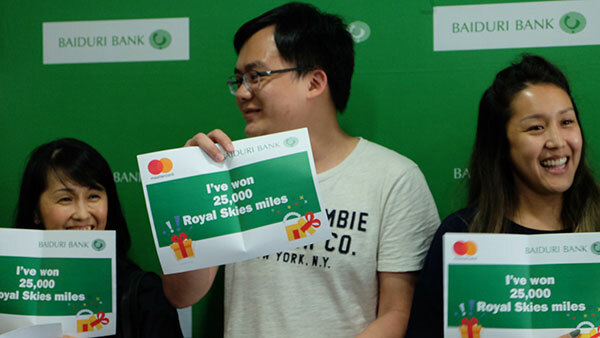 The three other winners were rewarded with a consolation prize of 25,000 Royal Skies Miles. “Mastercard would like to congratulate the winners and thank them for choosing cashless payments options when making their purchases. The promotion was an opportunity to continue to demonstrate Mastercard’s commitment to reduce cash and increase electronic payments. 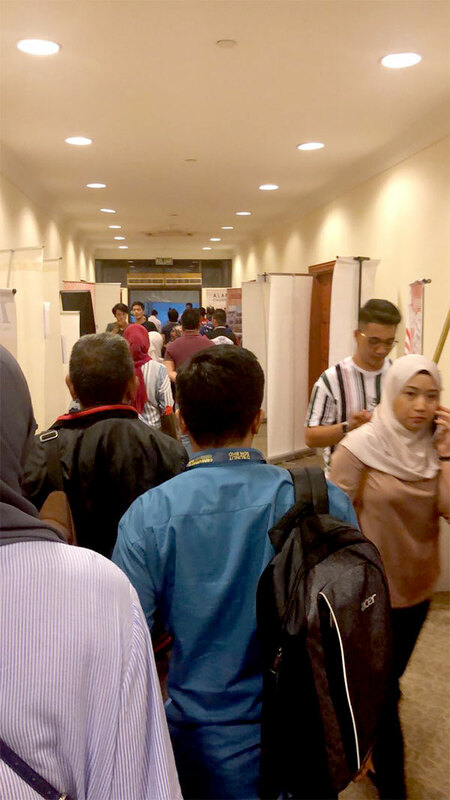 Mastercard is pleased to collaborate with like-minded partners such as Baiduri Bank to provide exciting and unique offerings to cardholders and in turn raise awareness of the convenience, security and speed of electronic payments,” said Perry Ong, Country Manager, Malaysia and Brunei, Mastercard. To be in the know of Baiduri Bank’s current promotions, the public may stay updated by following Baiduri Bank Group on Facebook and Twitter or via our Instagram handle, @baiduribank. Baiduri Mastercard Credit Cards comes with an array of benefits, such as exclusive rewards and offers, easy instalment plans as well as the ability to accumulate Bonus Points for the Baiduri Instant Rewards programme. With every purchase, customers will enjoy Bonus Points, which in turn gets converted into Baiduri Dollars stored in the Instant Rewards card for instant redemption at any Baiduri merchant. 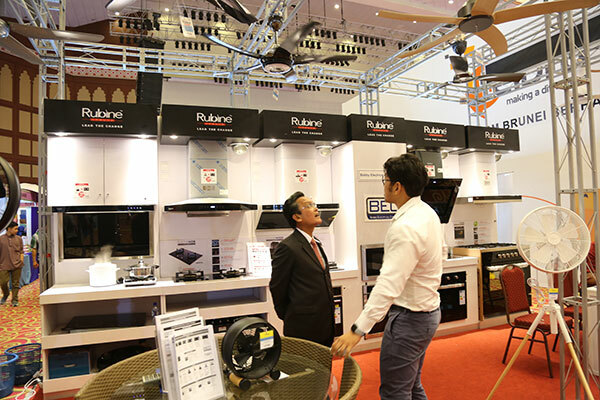 Currently, Baiduri Bank has over 2000 merchants all over Brunei who participate to give Baiduri cardholders special offers, privileges as well as exclusive shopping discounts. Overseas, Baiduri Mastercard Credit Cardholders not only enjoy access to a wide variety of offers and deals for travel, dining, shopping, sports and entertainment, but also 24-hour global emergency assistance, and depending on the card tier, complimentary travel insurance, and access to over 900+ VIP airport lounges around the world. To find out more, the public can visit Baiduri Bank website at www.baiduri.com. Customers may also contact the 24 hour Baiduri Bank Customer Helpline at 2449666. Introduced on the 2018 Audi Q5, Quattro Ultra is a new improved Quattro all-wheel drive system that is more efficient while still ensuring optimal grip in any condition. 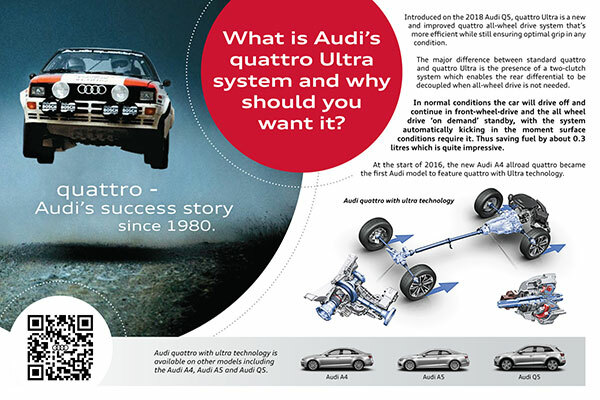 The major difference between the standard quattro and quattro Ultra is the presence of a two-clutch system which enables the rear differential to be decoupled when all-wheel drive is not needed. In normal conditions, the car will drive off and continue in front-wheel drive and all the wheel drive “on demand” standby, with the system automatically kicking in the moment surface conditions require it. Thus saving fuel by about 0.3 litres which is quite impressive. At the start of 2016, the new Audi A4 all road quattro became the first Audi model to feature quattro with Ultra technology. 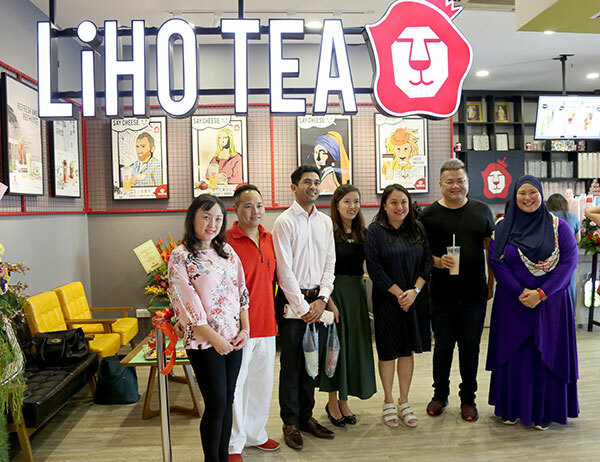 Group photo with Syfulnizar Hamid, Political Secretary from the Singapore High Commission in Brunei Darussalam (3rd from left) as the guest of honour during the official launch of LiHO first outlet at Times Square Shopping Centre. 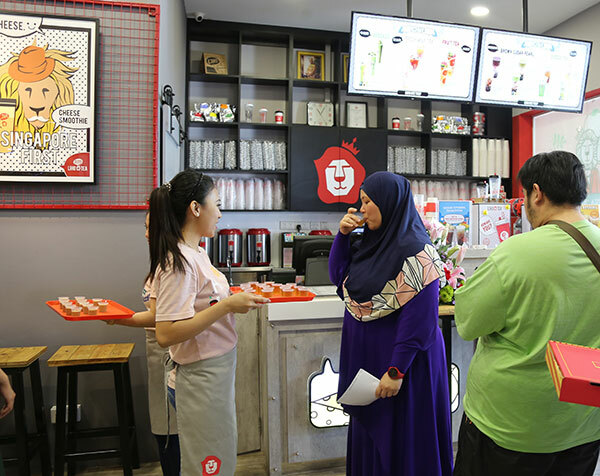 LiHO is still a new player in the town, making its presence in Brunei back in October 2018 and the Singapore home-grown bubble tea brand by RTG Group only started in 2017 and already have 93 LiHO outlets across Singapore and Vietnam so far. 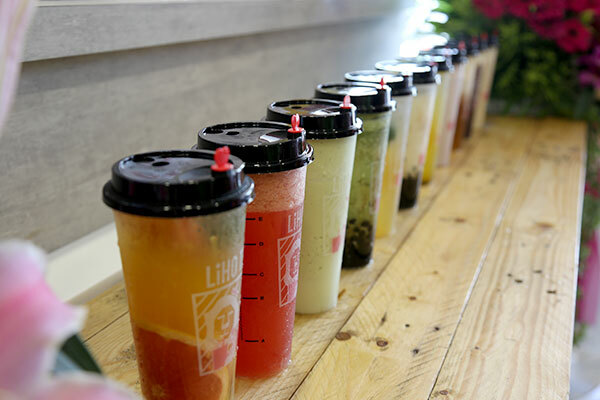 The official launch happened last week at the first LiHO outlet located at Times Square Shopping Centre. 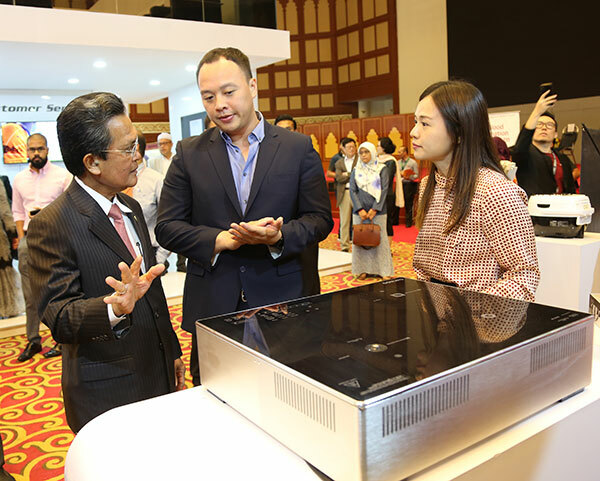 Gracing the ceremony was Syfulnizar Hamid, Political Secretary from the Singapore High Commission in Brunei Darussalam accompanied by LiHo founders Rodney Tang and Janice Chew. 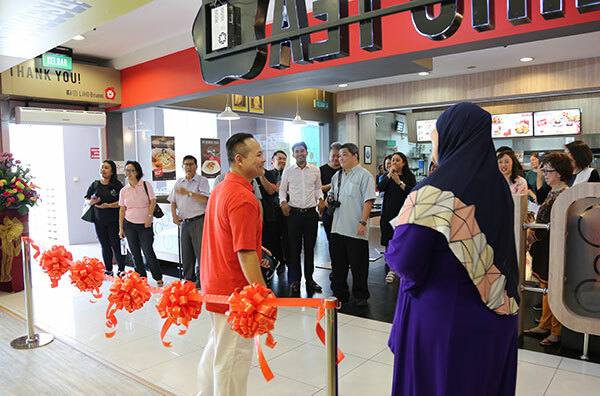 Also in attendance were the Appointed Master Franchisee of LiHO Brunei, Jeffery Chia and his spouse, Rachel Chew. 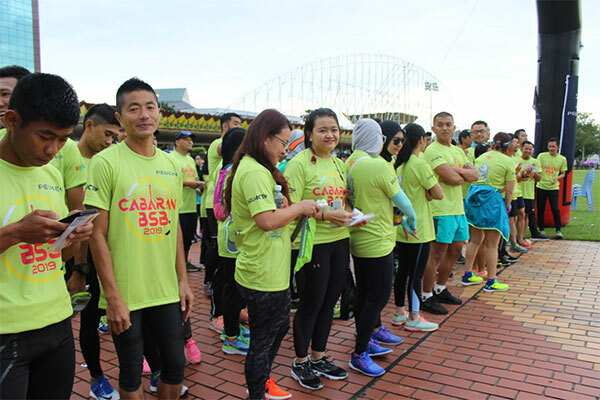 Jeffrey began with his opening remarks – “How are you?” Or “Apa Khabar?” which describes LiHO in the Hokkien Chinese dialect to show that regardless of the differences in language, culture and beliefs, a simple greeting for LiHO can bond people together. 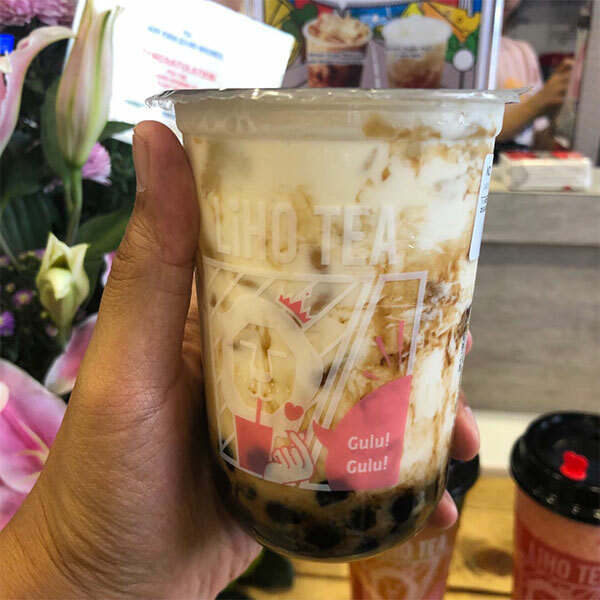 Now the most popular drink at LiHO is the Brown Sugar Pearls and I love it too. What’s good about it? 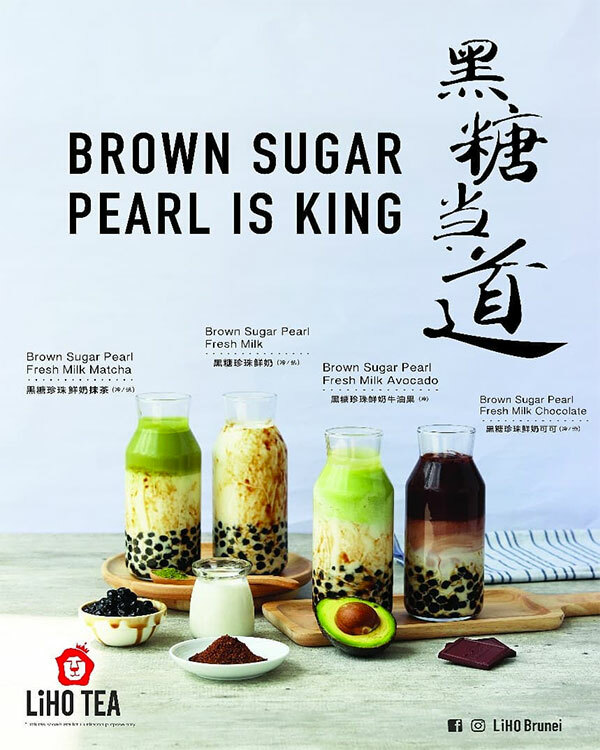 Firstly the brown sugar pearls are slowly cooked with pure brown sugar over a long period of time to achieve softer and chewier pearls. 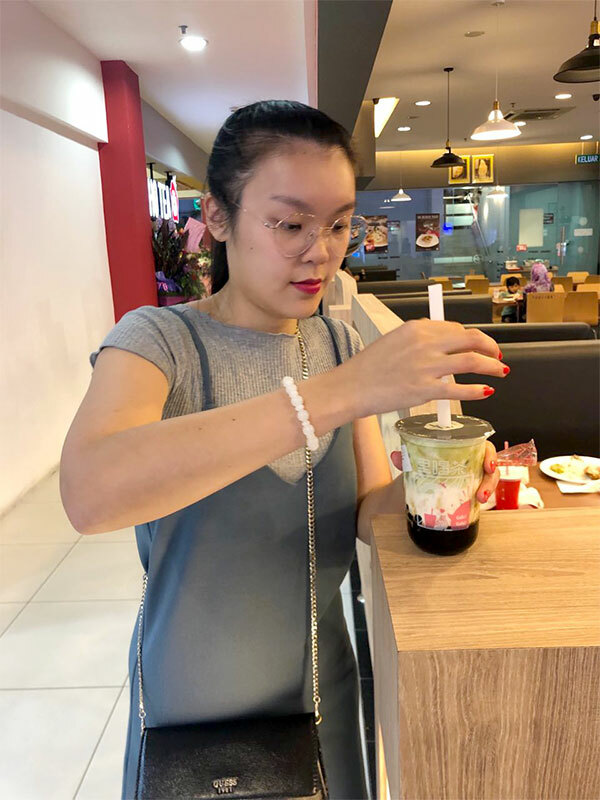 Some people like to drink the way it is to feel the warmth of the pearls or some would prefer to shake it to have a cooling effect. I prefer the latter. 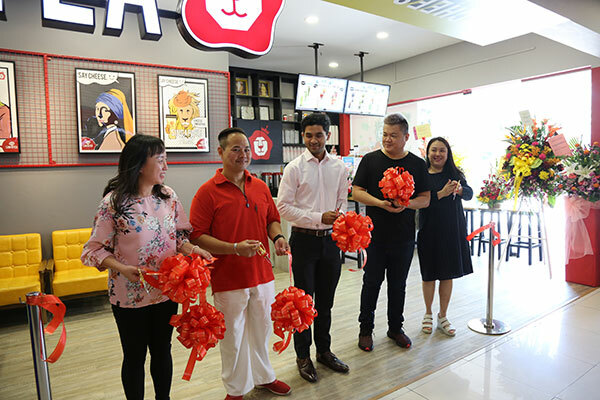 Jeffrey also announced the Customer Loyalty Program via the Rewards Stamps allocation where all customers need to do is download the app, scan it at the outlet, spend and earn points. Awesome!!! Jeffrey felt blessed that the response has been great since October 2018 and hope by having more marketing and presence, there is still more room for growth for LiHO to grow. So peeps, do try the Brown Sugar Peals and also the Avocado series (using fresh avocado). Don’t forget to download the app too. You can also follow their update on Facebook. Cutting the ribbon ceremony. 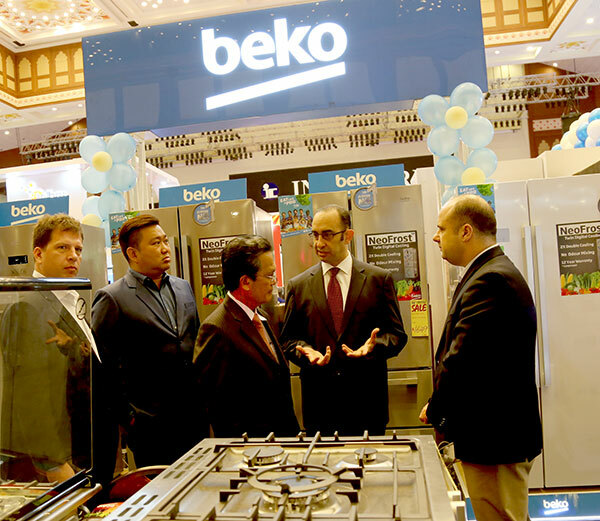 Congratulations LiHO Brunei. Boustead Sdn. 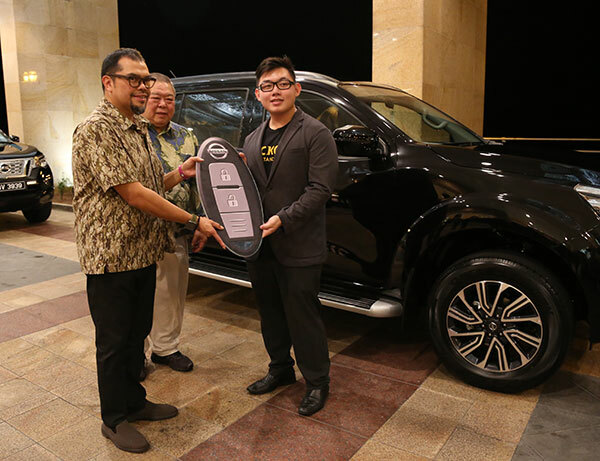 Bhd., the sole distributor of Nissan automotive in Brunei, launched the All-New Nissan Terra last weekend. The latest addition to the Nissan’s line is considered one of the greatest highlights for the brand’s history as it represents a huge milestone in its innovation. 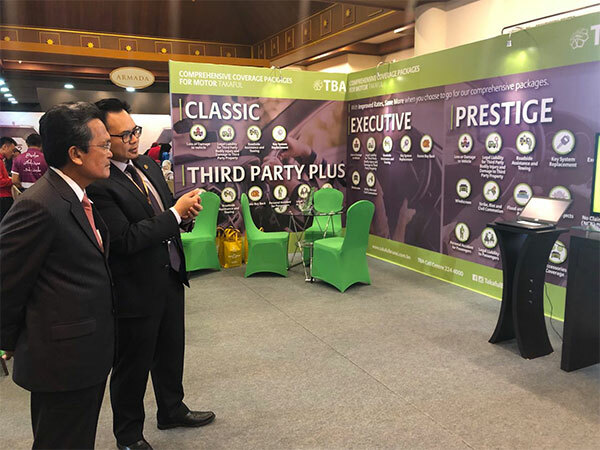 And for that, the exclusive event for such innovative model was held at Indera Samudra, Hall 3, The Empire Hotel and Country Club. 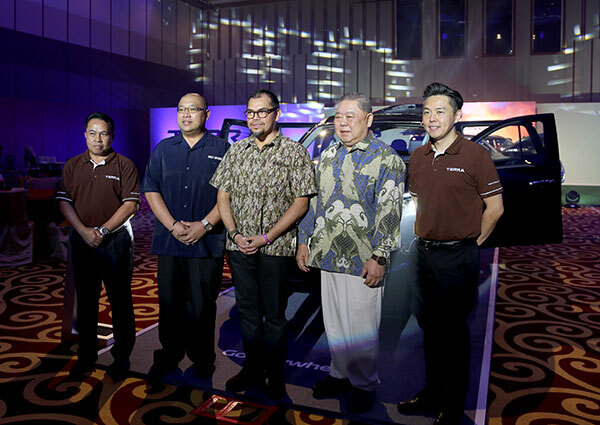 The reveal of the Nissan Terra was exclusively attended by Yang Amat Mulia Pengiran Anak Haji Abdul Wadood Bolkiah Ibni Pengiran Lela Cheteria Sahibun Najabah Pengiran Anak Haji Abdul Aziz as well as the management of banks and finance institutions, members of the media and the customers. 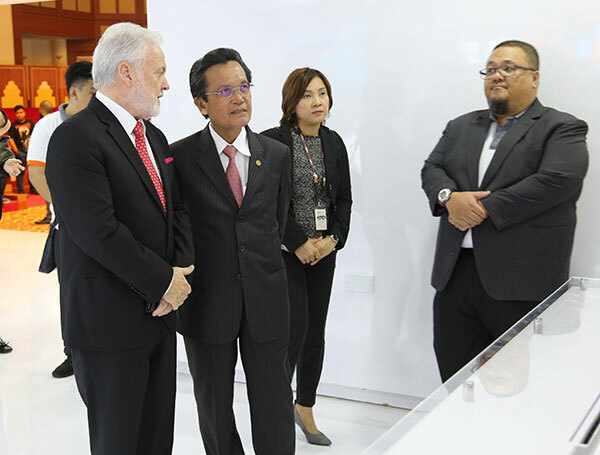 “Nissan has been involved in building SUVs for more than 60 years and has received its reputation in traversing challenging terrains around the world which has proved Nissan’s capability to build strong and tough SUV. 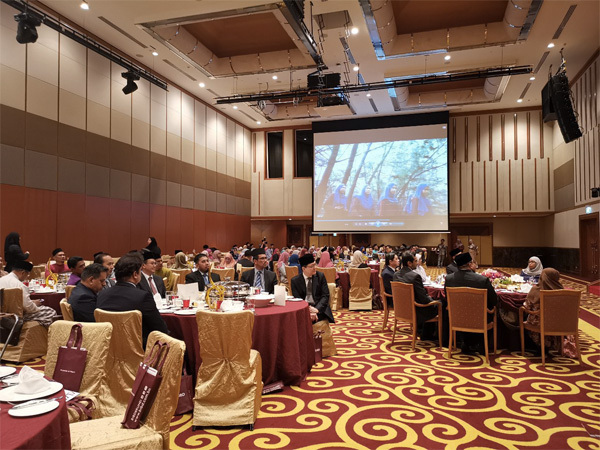 Hence, based on that, it went into the development of the All-New Nissan Terra which means that you can always count on your Terra to take you anywhere.” said Mr Lim Jin Lee, The Executive Manager of Boustead Sdn Bhd. 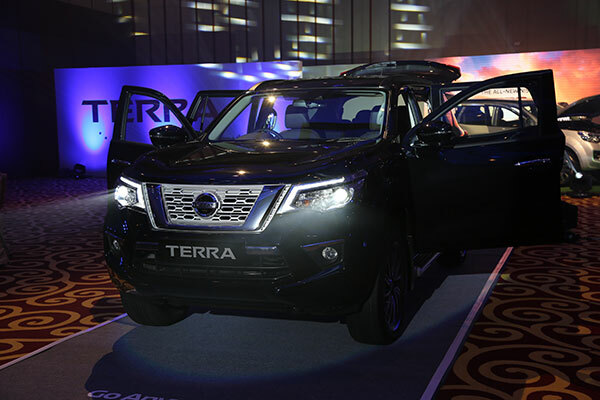 Nissan Terra has been developed in Asia, build in Asia for Asian customers. The exterior offers the strength and ruggedness of a utility vehicle including the signature V-Motion grille and the boomerang headlamps which give it a more streamlined look. 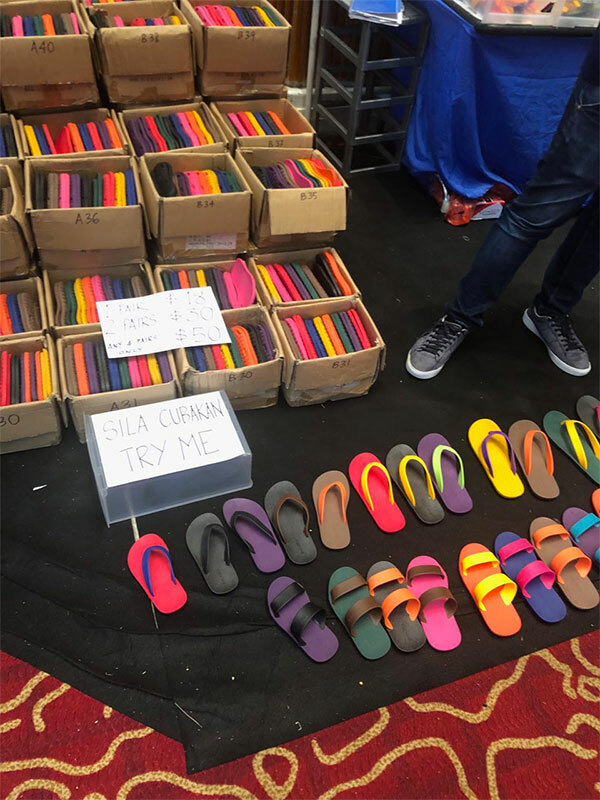 Available in eight colors; Dark Blue, Black Star, Burning Red, Gold Beige, Brilliant Silver, White Pearl, Earth Brown and Twilight Gray. Inside, the Nissan Terra can accommodate seven passengers and offers roominess with best-in-class cabin space and quiet interior which provide comfort for everyone on board. Additionally, it has a theater seating arrangement where the front seat and the front floor were arranged lower position to give better visibility for the second and third row seats. Launched with three variants; Mid, High and Premium Grade, and they are all reasonably well equipped. The Mid Grade offers a 2WD system with a manual transmission and a 17-inch alloy wheel. The interior is equipped with a urethane to keep the car cool and comfortable. It also has a low-cost maintenance which is suitable for those looking for value for money. The High Grade offers a 2WD system but with an automatic transmission and an 18-inch alloy wheel. The interior is also equipped with a urethane while featuring some premium conveniences which are also available in the Premium Grade including a 10.1-inch Android Player for onboard entertainment, hence, making every journey more pleasurable. The 2WD High and the 4WD Premium Grade are further enhanced with a Power Liftgate to provide more convenience to the drivers and passengers in which the trunk door can be opened in various ways either by pressing the unlock button on the key three times, pressing the button on the trunk door or pressing the switch button at the vehicle’s centre console. The angle of the trunk door can also be adjusted according to the driver’s preference. For those who prefer a vehicle with a superior and premium feeling, the 4WD Premium Grade, which is the finest grade among the three, has a luxurious interior furnished with leather and first-class comfort and features advanced Nissan Intelligent Mobility technologies. As part of Nissan’s plans to move towards its future direction, Nissan Intelligent Mobility, in which it aims to achieve a goal of zero emission vehicle and zero fatalities on the road by transforming the car into a more responsive partner by redefining how the car is driven, powered and integrated into society, the 4WD Premium Grade adds Intelligent technologies for a safer and confident drive. One of the highlighted technologies equipped into the 4WD Premium Grade is Around View Monitor. It is a monitor that provides a virtual 360-degree scene of the car in bird’s-eye view. It assists the drivers by giving real-time information about the vehicle’s surroundings which makes parking much easier and safer. Another technology equipped into the 4WD Premium Grade is Lane Departure Warning in which it assists in maintaining safety by alerting the drivers when it detects that the car has strayed from its intended lane. It also recognizes the lane in which the car is travelling. Thus, when the driver unintentionally drifts out of the traveling lane, the system alerts the driver with a visual warning on the display and an audible signal. These technologies help in seeing and detecting any potential obstructions around the vehicle for better safety. Furthermore, all models are equipped with a Zero Gravity Seat. This technology reduces fatigue for drivers and passengers when driving by pursuing the ideal posture to make long drives more pleasant and maintaining seating comfort, thus making the Nissan Terra suitable for long journeys. Powered with 2.5-litre diesel engine providing best-in-class performance, it offers impressive 190Kw horsepower and 450Nm torque that ensures an exciting drive of speed and acceleration. It also has high ground clearance which can reduce the risk of damage from uneven roads, hence, suitable for both city drive and off-road drive. Moreover, Nissan Terra is equipped with ladder-frame chassis which provides greater rigidity to give comfort and convenience and further satisfy the outdoor adventure enthusiasts. 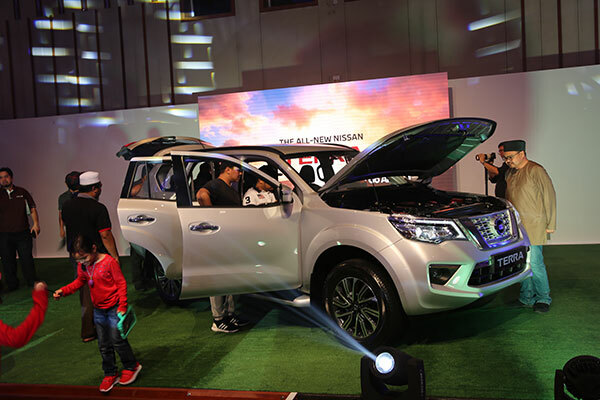 To kick off the memorable journey of the first batch of owners of the Nissan Terra, the official delivery of the latest versatile SUV from Nissan was conducted during the launch event. 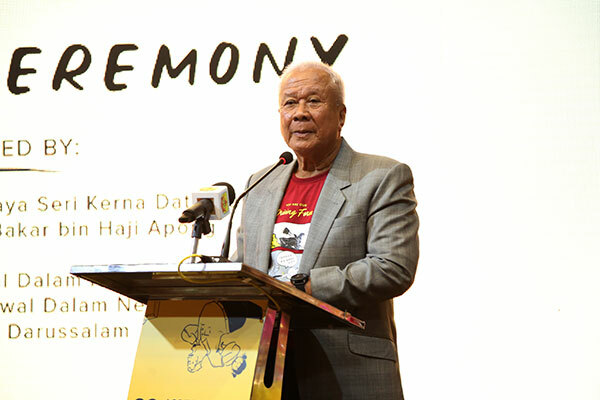 The handover of the keys was personally distributed by Yang Amat Mulia Pengiran Anak Haji Abdul Wadood Bolkiah Ibni Pengiran Lela Cheteria Sahibun Najabah Pengiran Anak Haji Abdul Aziz. 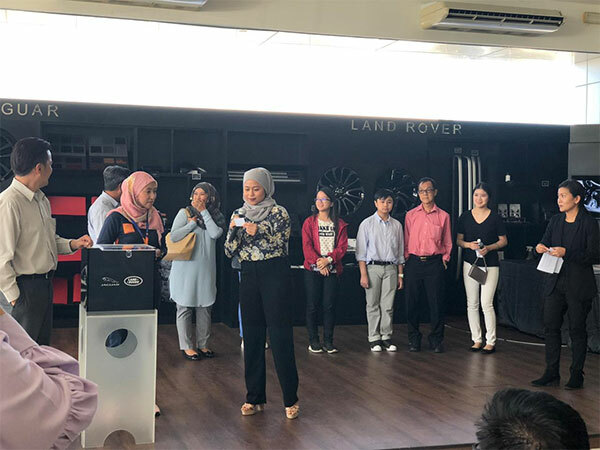 Members of the public who are interested to have a closer view of the Nissan Terra or to inquire further information are welcomed to visit Nissan’s showroom in Beribi and Kuala Belait and get assisted by the friendly sales representatives of Nissan. Pong Bee Thing, represented by her daughter (2nd from right), won the grand prize, a return ticket to Bangkok as part of the “Test Drive & Fly” promotion. 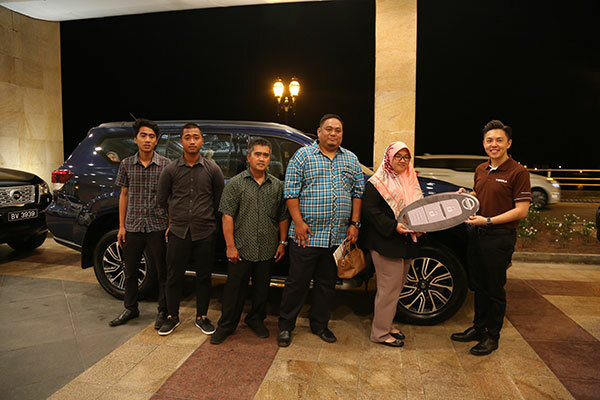 The prize presentation was held last Friday at Indera Motors Showroom. 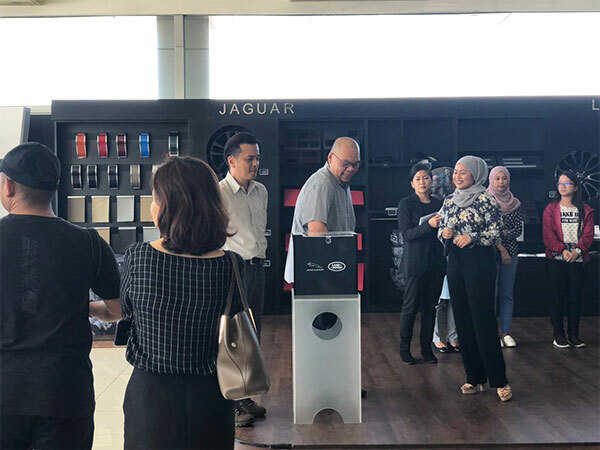 A lucky draw event was held at Indera Motors Showroom yesterday for the “Test Drive & Fly” Promotion. 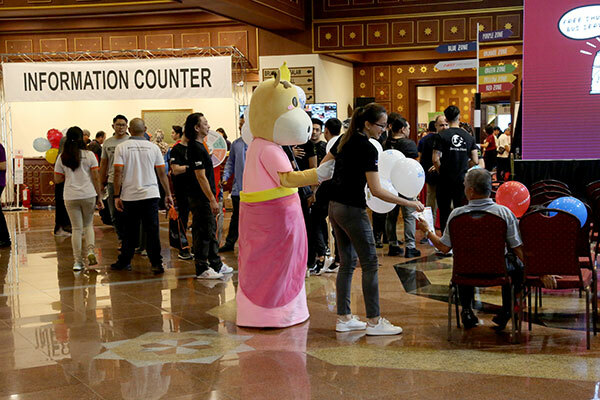 The Campaign was held in conjunction of 2018 Year End celebration which was held from November to December 31st. 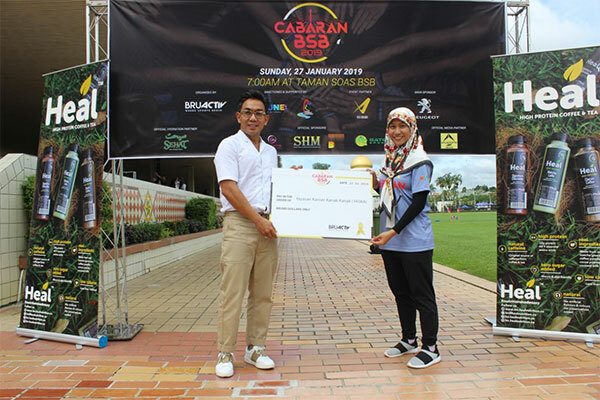 Pong Bee Thing, emerged as the grand prize winner and took home a return flight ticket to Bangkok. 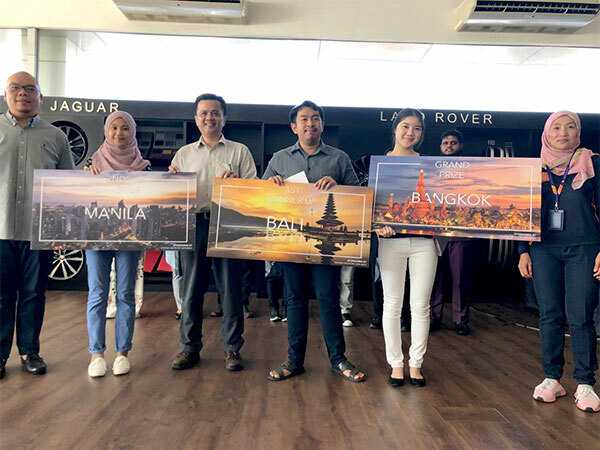 Muhd Nurul Hafiz, announced as the first runner up and won a return flight ticket to Bali and Hisyamuddin Hamzah, the second-runner up won a return trip to Manila, while the rest all went home with Jaguar and Land Rover merchandise. 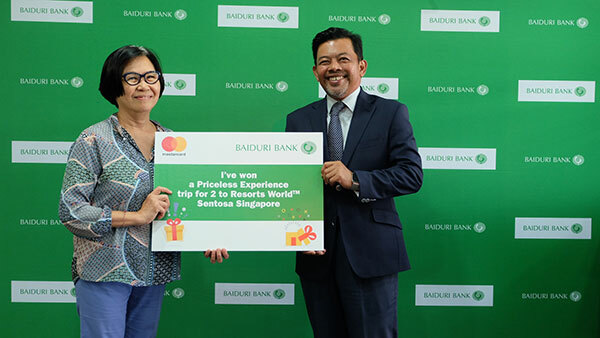 There to draw the 10 lucky winners were Ms Anisahatiajar Zaini, Marketing Officer of BIBD At-Tamwil and Mr Eugene Tan, Business Support Assistant Manager of Baiduri Finance. 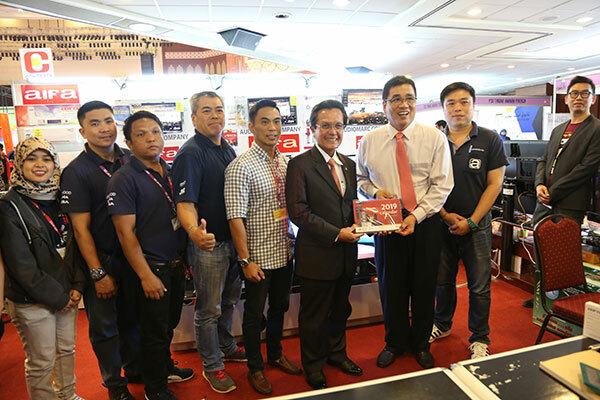 The grand prize was presented by Mr Pierce Lim, The Marketing Manager of Indera Motors Sdn Bhd.